VonDoomCraft is a 128×128 horror themed texture pack with some scary custom mobs and an overall dark feel. 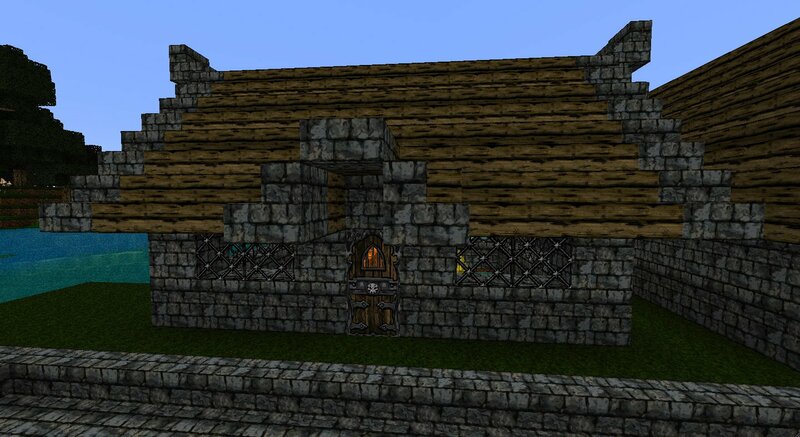 JJJas0n's FancyCraft is a 128x128 semi-realistic texture pack with a very classy feel. the pigs are terrible looking. but it still needs to give the creepy feeling. This t.p. looks so epic.Especially for those monster hunter yous!! I’m not able to get this texture pack to work. I’ve followed the instructions which are given in the install guide to the right, but I can’t seem to get it working. I’ve been able to install other packs but not this one. Any advice? I think I know what the problem is: I haven’t installed MCPatcher. How do I do this? I’ve followed the links given but just about each path sends me to pages with multiple pop ups and links to download things other than MCPatcher. Any help would be greatly appreciated. Thanks. I downloaded MCPatcher 1.0.0r2 and after installing it (and I believe updating it, though I’m not sure I did because it still reads “1.0.0r2”) I am able to play all the HD packs that I’ve downloaded except for the one I really want to play, which is, VonDoom. I’m not that experienced when it comes to computers (I usually just Google something to find out how it’s done, which is how I found this Patcher “1.0.0r2”),so any help or advice would be great. Thanks. I’ve re-downdoalded the pack and it still doesn’t work. Whenever I try selecting the pack in the “Texture” menu it reverts to the “Default” pack. (Instructions for installation is found about a quarter of the way down the page). Did you download and install MC patcher??? Awesome pack so far! I just hope everything looks as good as it does now when it’s finished. Also more info, von doom doesnt even show up as an option in the game when I have the folder placed with the others. Well, my only problem is with ALL of the Textures Packs that need MC Patcher. They don’t work on my computer. My Father says who is a Computer Genious says that It’s MC Patcher that’s doing the trouble. Could anybody help me? lol my minecraft crashed as soon as i selected the pack! 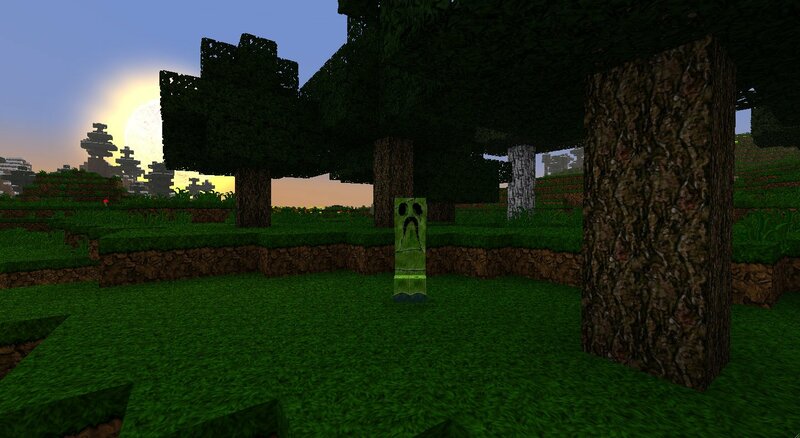 if the zombie is that scary then what will the ghast look like? ._. I just downloaded this and I love it, but somethings up with the cobble stone and the 2nd half of the inventory. the rest is great! The moon is… When I put on this texture pack the first thing I saw was the moon, and let me say, that is really something. I had to change to LoafCraft because I was too scared to stop hiding in my tree. VonDoomCraft is a brilliant texture pack, for sure. Brilliant, yet terrifying. Reminds me of Castle Miner Z……… I will have to switch to something else in order to NOT be scared! This is a really nice, dark texture pack. Any ETA on when it will be completed? I would have loved this texture pack except it took minecraft literally FIVE minutes to load! WTF!! PLANTS VS ZOMBIES ZOMBIE!!! Nice texture, but it’s a dark one. Which i’m not a fan of, But this one look’s pretty great! I fell off a cliff when i saw the Zombies and Creepers!!! i fell in lava when i saw a creeper!!!! 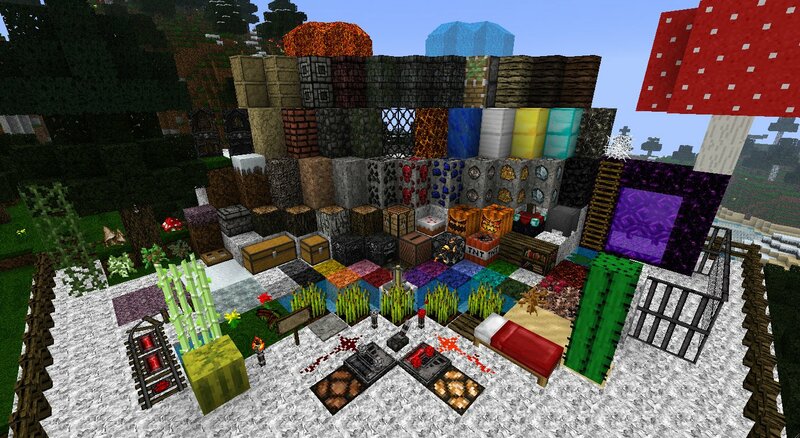 I love this texture pack…..for the world and item textures. However, I can hardly read/see a thing on any of the interfaces. The text is so small and stylized. The backgrounds blend with the items a little too much. I’m glad it’s still in beta because it means that this issue might be assuaged a bit. You know, I’m concerned. When I get texture packs, I’m looking for more detail. (all the mobs, including tamed/mad dogs, The font, The weapons/tools/armor) I need better detail, to know if my computer will handle it. If you have any issues or problems, let me know. And the pack really scares me…..
i like the zombies they creep meout and look like they were officers in a suit with an eyball popping out. 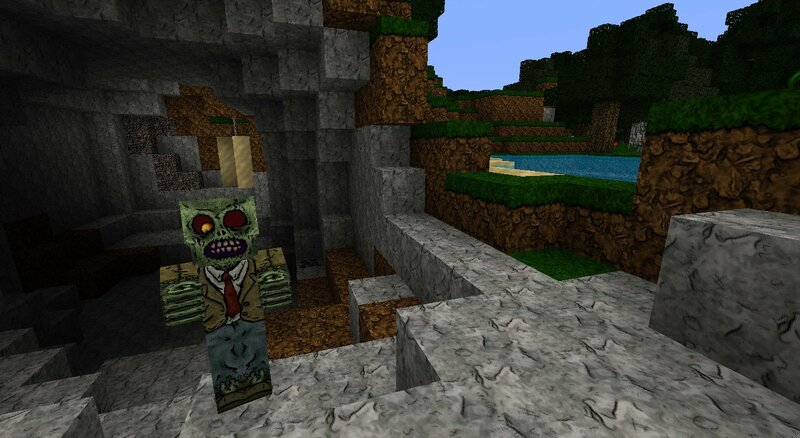 That Zombie is Awsome i can´t imagine the ghast. I think it will be very scary. :O You can’t even see the pixels! this texture pack is really awsome its one of my favorites its really cool all you people who dont have a texture pack i strongly suggest you get this one! Please, Please, Please update this Texture Pack to 1.6. It has been my favorite for years.